A tale of two affordable rear-wheel-drive sports coupes built side by side in Japan. This is the question that, of all publications, Consumer Reports wanted to find out. 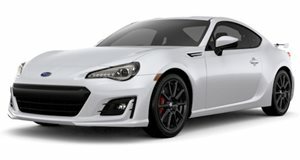 Both the 2013 Scion FR-S and Subaru BRZ are nearly identical in every way. Aside from some minor changes to the front-end design, extra features and whether the softer springs are located at the front or rear (Scion&apos;s are up front), that&apos;s about it. CR&apos;s own Jake Fisher takes both of these wonderful Japanese sports coupes out for a spin on the test track to try to determine which the preferred choice is. Both are powered by the same 2.0-liter boxer four that produces 200 horsepower and 151 pound-feet of torque and are equipped with standard 17-inch wheels. Yes, it may be hard to actually find any relevant differences between the two, but Fisher manages to do so and his choice actually surprised us a bit. We don&apos;t want to spoil the video comparison for you, but Motor Trend recently came back with the opposite opinion. So what are your thoughts? Although many people haven&apos;t had a chance to drive either of them just yet, enough details are out now to form some sort of an opinion.